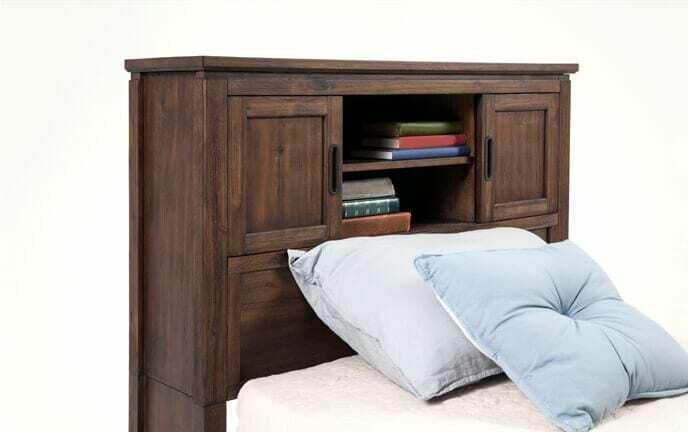 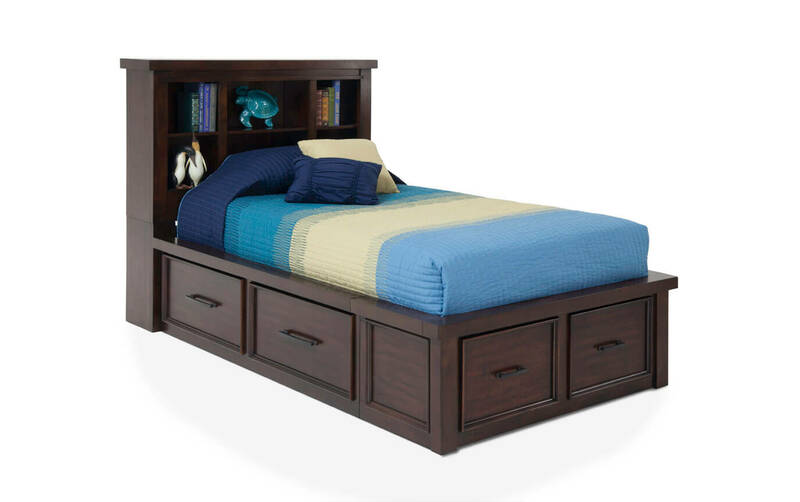 Expect nothing less than clean lines and a classic design from my Hudson Youth Storage Bookcase Bed! 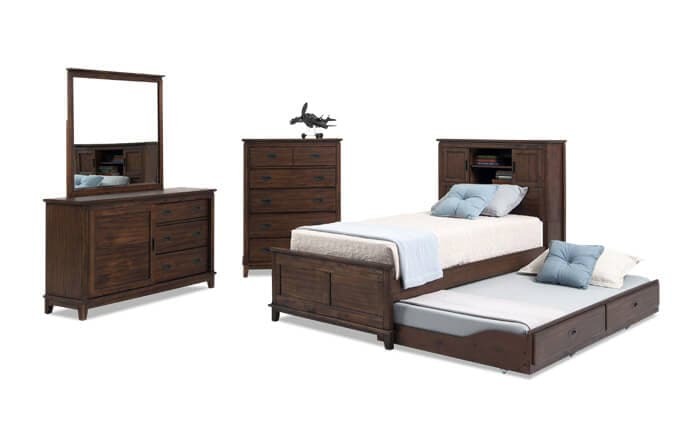 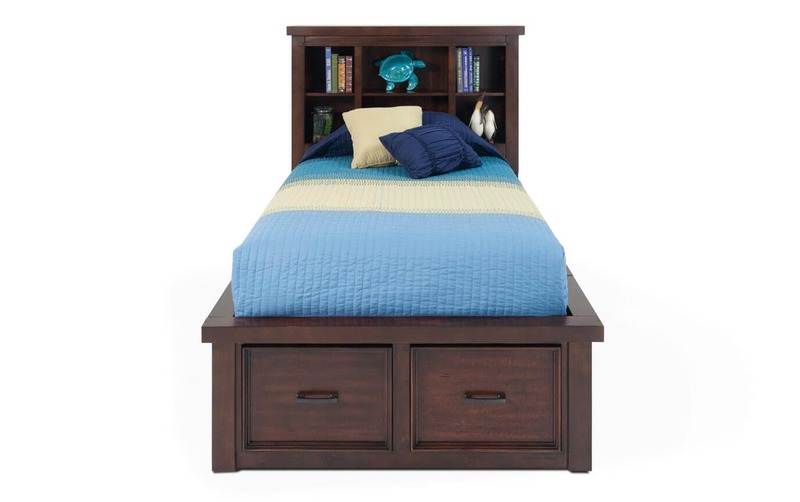 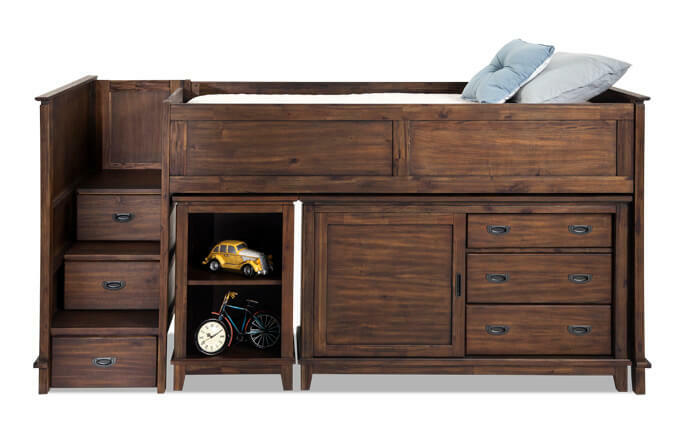 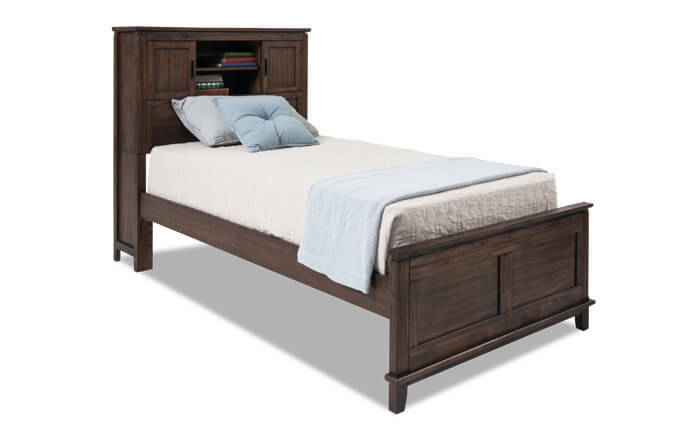 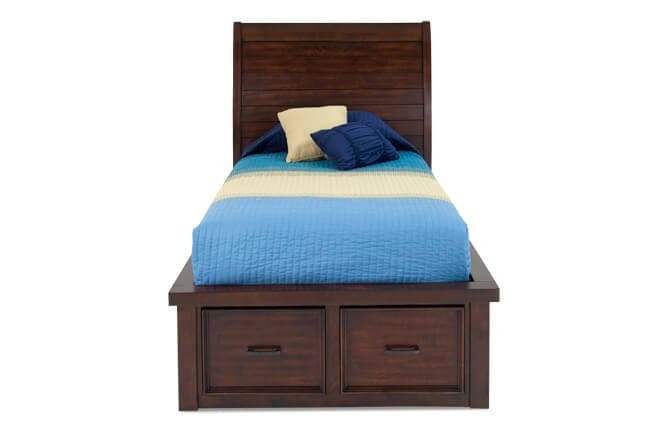 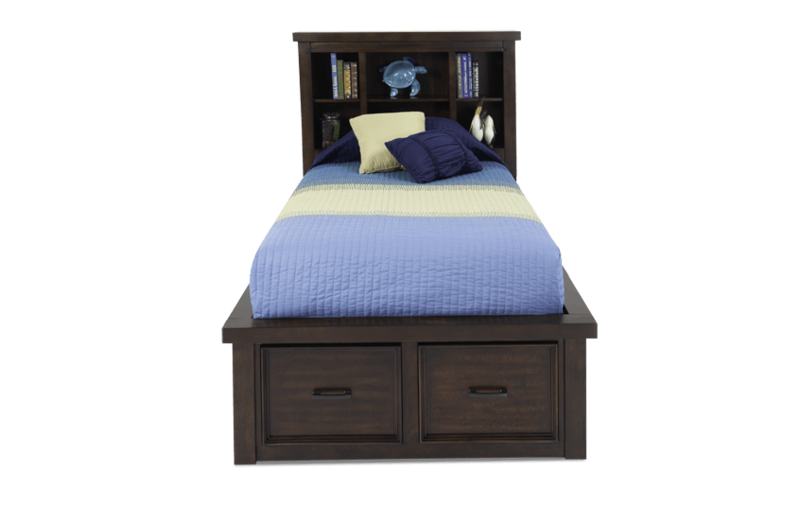 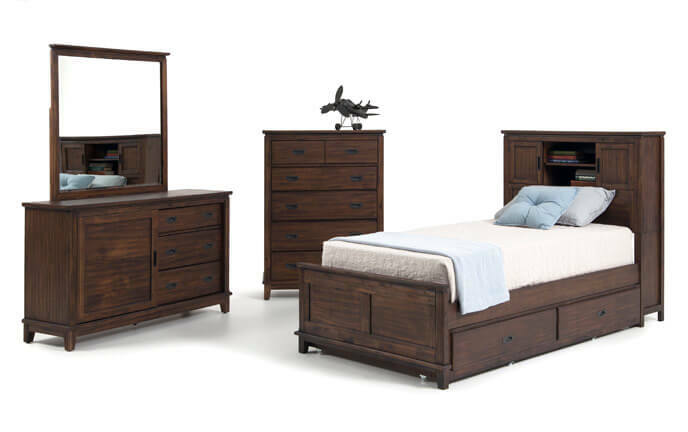 Decked out in a pecan finish, this transitional bed is pure value for a great price. 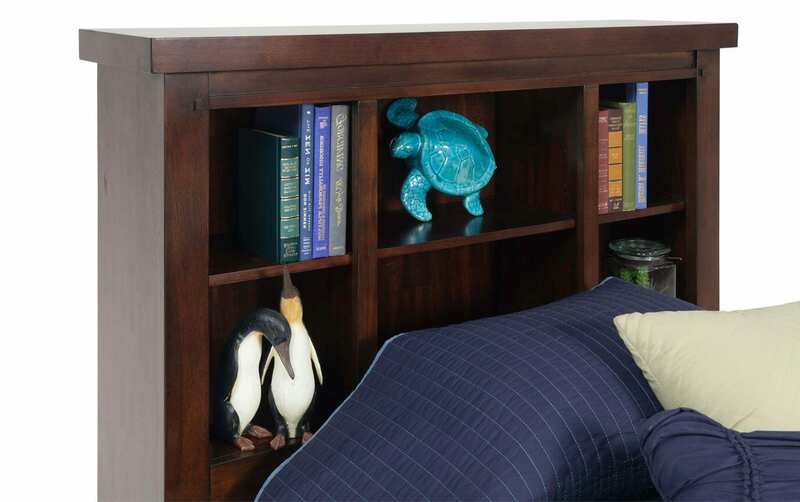 The twin bookcase headboard conveniently stores books and toys- but there's more! 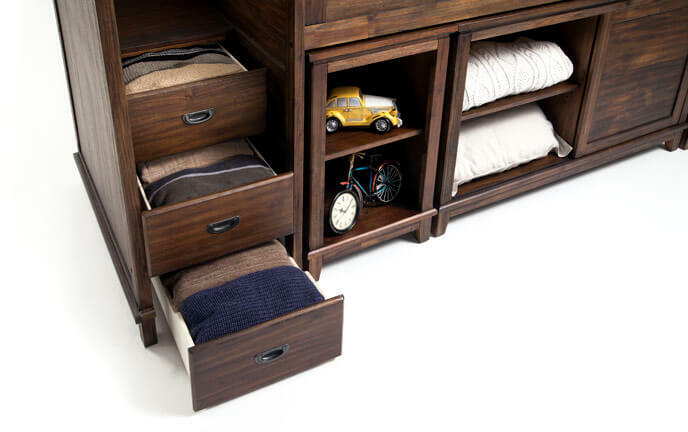 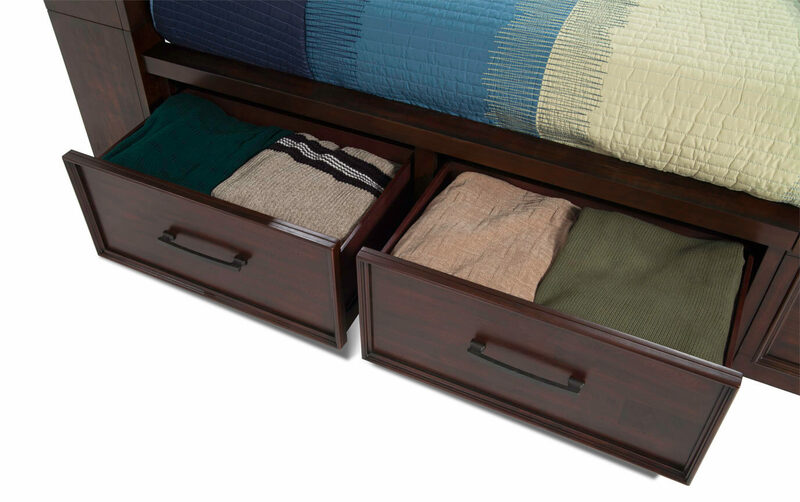 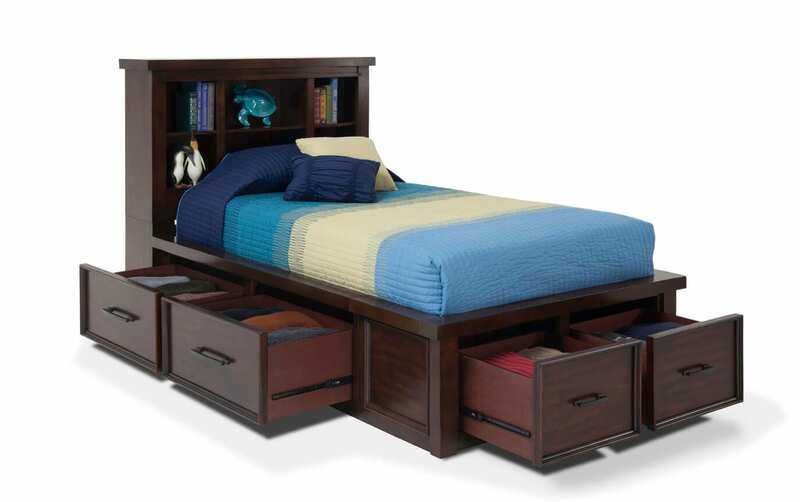 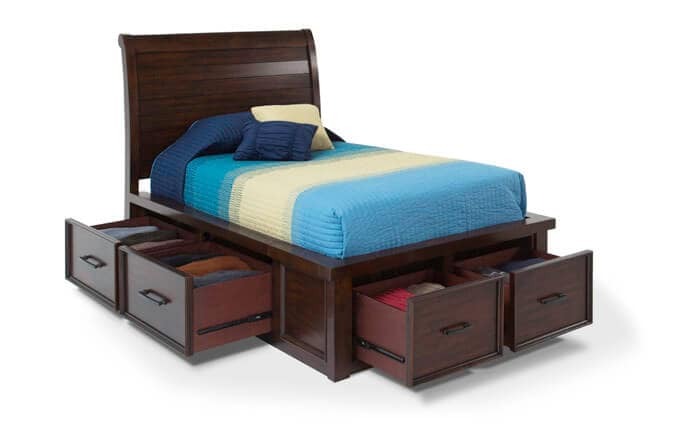 It also offers SIX storage drawers that offer additional storage for your kids' pillows, blankets, or clothing!